Hi, everyone! I'm in the market for a small bike for roads, light trails, paths, etc. Essentially a comfortable bike with reasonably upright geometry for all types of recreational riding. I live in the mountains, so even our roads are rough. I'm short, just under 5 ft, and middle-aged. Haven't really ridden since I was a teenager because I've never found a bike that fits me well. I did a longer thread a while ago on outfitting my Surly LHT (42cm), and she went from a lovely drop bar touring setup with 38c tires to a nice upright city setup with 1.95" tires, and she is still not comfortable for me. After about $2000 on this bike, I'm (sadly) ready to sell. So I'm in the market for a bike with hydro discs, comfortable geometry, possible front suspension (though I like the clean look and lighter weight of a rigid fork, comfort is key, as is correct fit), and a decent drivetrain. My budget is up to $1000 IF it's a near-perfect bike. I've gone from a big, heavy Diamondback comfort bike to a slim, light Trek FX 7.3 (which I liked, but it was too big; 15 yrs ago they didn't have 13" frames), to my heavy-ish Surly, which I cannot get to work for me (and I've stopped trying). I've been testing out lots of bikes in women's XS (if available) and S (if not): Cannondale Althea; Specialized Ariel and low-entry Roll; Trek DS, FX, and Verve; Liv Rove and Bliss. The Althea and Ariel had me too stretched out and weren't as comfy as I'd like. The Roll was super comfy, but feels SO BIG for me, like riding a refrigerator. Big tubes, big saddle, wide bars. The Trek DS was okay, but again, felt big. And I don't like its looks at all. The FX was light and spright, but not comfy. The Verve was pretty good, though I don't like the look of step-throughs...hate to say it, but looks are important to me! I barely fit the men's small, though (I like the looks better), and my stretched out feeling could be remedied by the adjustable quill stem. A big plus is the 2020s now have hydro discs, woo hoo! The Liv Rove is great-looking and upright, but standover is too high; I'm right on the top tube. Plus I didn't feel the front suspension helps much with the thinner tires. The Bliss felt good, lots of standover and the suspension was nice, though I'm not as upright, but...the components are so low-end; even the Bliss 1 has only mechanical discs and Tourney/Altus front/rear derailleurs. And there's no internal cable routing or any higher-end features. The equivalent Giant versions are higher end for the same $$, I think. I like the 26/2.1" tires on the Bliss, and it's a small bike that's proportional to me. It just seems so low end, but I suppose I could ride it and switch out components later on. Having to swap things out and sink more $$ into it to get it the way I (think I ) want it reminds me of trying to get my Surly done right. What if it doesn't work? I'd just like a bike that works without a major overhaul from the get-go! Last edited by velocipedia; 04-17-19 at 02:14 PM. If this was me and I had spent the amount of time and money on bikes that you have I would have a frame custom made and have the components/mechanicals I wanted. That way there are no compromises and you know it is exactly what fits you and your needs. Hope you find something but I have my doubts it will be anything off the rack. Junior bikes from the bike store are usually pretty dire. Parents don't want to spend on a bike that might not get used at all, and even if it does, will be outgrown soon. 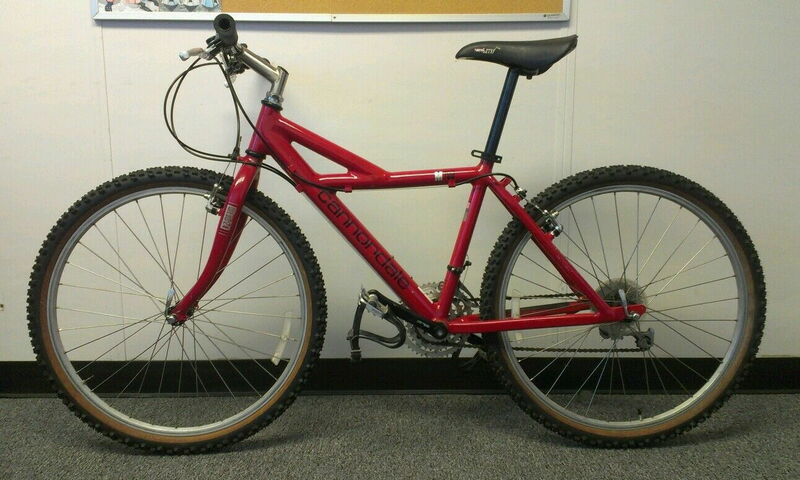 But there are some nice junior mountain bikes available now, especially by mail order. Cleary has recently tried marketing their bikes to people of small stature, and they have good mountain bikes with 24 inch and 26 inch tires. Frog Bikes is another candidate. Unfortunately Islabikes checked out of the US market last year or I'd point you at them, too. Spawn are more expensive. Some of the bike store brands have a higher model that a shop might have in stock. I know there are a few really nice bike-store brand bikes but I'm blanking right now, maybe it was Haro or Kona? I'd bite the bullet and have a chat with Georgena Terry; she's been custom making women's bikes since the '70s, and specializes in building for shorter women. Better to buy the right bike and cry only once. I like the 26/2.1" tires on the Bliss, and it's a small bike that's proportional to me. But it just seems so low end. Having to swap things out and sink more $$ into it to get it the way I (think I ) want it reminds me of trying to get my Surly done right. What if it doesn't work? I'd just like a bike that works without a major overhaul from the get-go! Hi. I would agree with your idea of 26" wheels. The good news is that vintage MTBs are cheap, and short+tall stems are easy to get. Look at something like a Cannondale Delta V from the early 90s, or a Barracuda who sponsored a women's' team and made very small 13" frames. Keep in mind that a fully rigid bike can have a much lower front end. 13" bikes were not that uncommon. My wife is 5-4 and I fixed up a 99 Cannondale for her to ride on roads, paths, and light trails. In the end, I spent very little money and ended up with a <22lb bike with modern quality parts. Anything past '99 will likely have disk tabs if high end. I do understand that sub 5' is a different deal, my college girlfriend was 4-10. FWIW I took an old Columbia 20" bike and added a springer fork to make it into a chopper for her campus putzer. The folding bike idea is good also. Or mini velos? Thank you, everyone, for your suggestions! I thought about folding bikes, but they wouldn't be a good idea for where I live, out in the country on long, hilly rides. I checked out Terry's site...omg! Her bikes are awesome, but just too spendy and I honestly haven't ridden enough to know exactly what type of bike I'll want long term, whether front suspension makes sense or I can get away with a rigid fork and wide tires. Still too new yet to commit to such a price. And youth bikes I did check out, but their specs are super low, even more so than the Bliss. The Bliss was the closest I've gotten so far to a frame and tire size that feel right. Yes, the 26" wheels make a difference, and I'm no speed demon, so they'd be fine for me. Thanks for the links and photos, you guys. I kind of narrowed it down to the Bliss, the Verve, and the Rove, unless there's something I'm missing. There's also the Bliss Lite (w/rigid fork), which is better spec'd than the regular (w/suspension), but nobody carries it, and I'm not going to special order w/o trying it out. 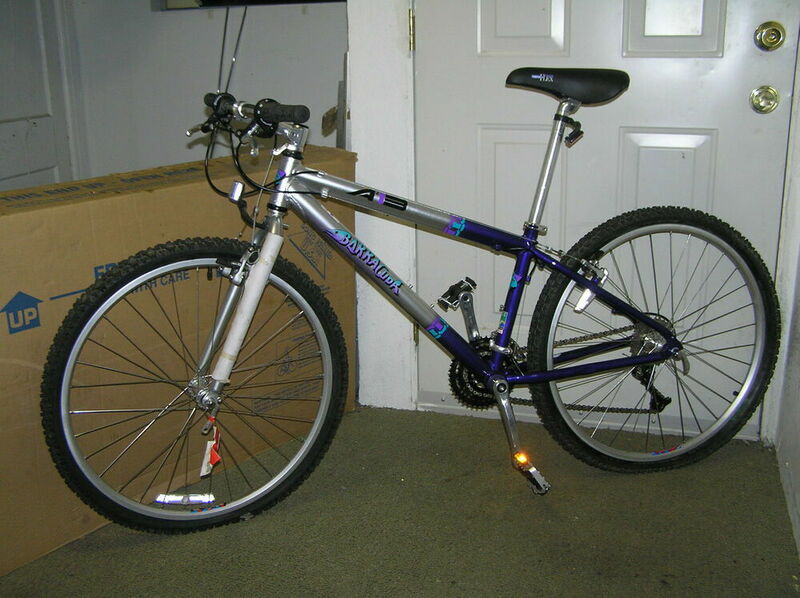 I've been checking craigslist because there are a ton of barely used bikes for great prices. I'd just have to be patient and hit it right. I don't know...with a Tourney/Altus setup (3x8), and mechanical discs, at $475, does a Bliss 1 make sense? I'd love a better transmission, hydro discs, and more modern and cleaner internal cabling, but at my size, maybe you can't have everything?